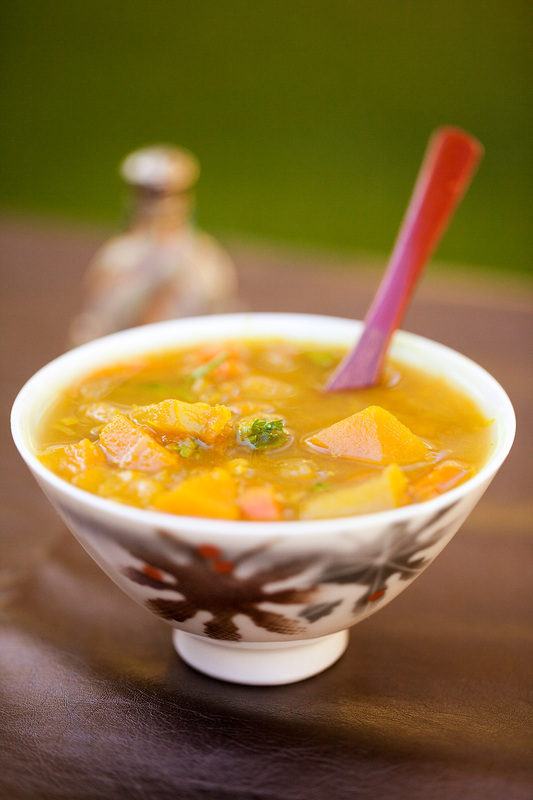 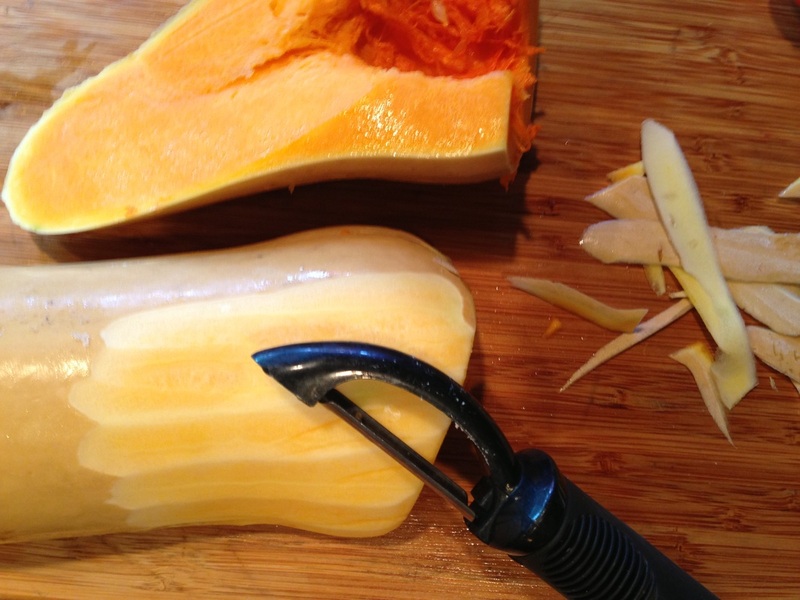 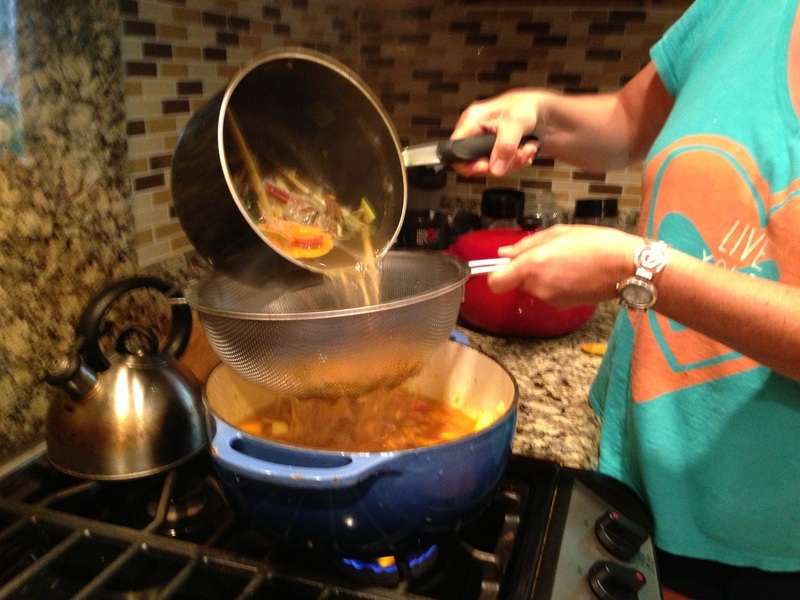 Fall is such a perfect time for soup, I really love this time of year and love that it is squash season! 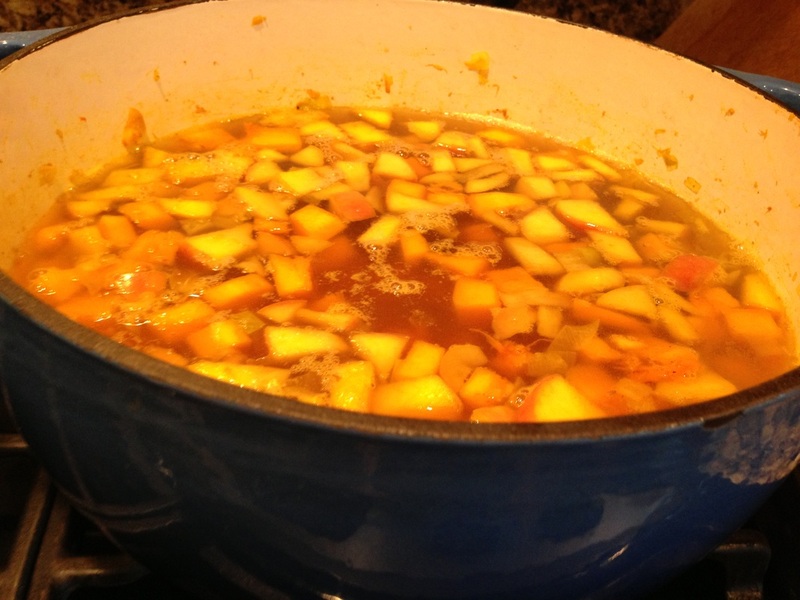 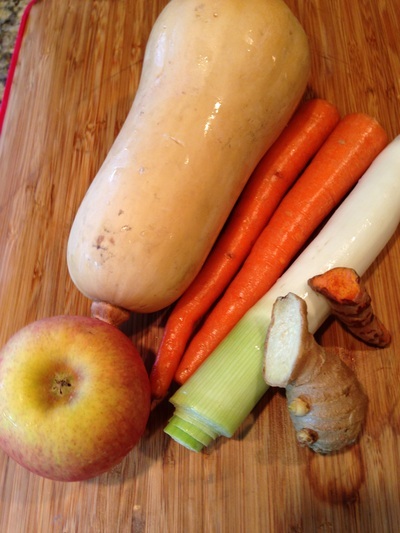 In this new creation I married a Butternut Squash, Fuji Apple, Leek, Carrots with fresh ginger, turmeric and garlic and Allspice! 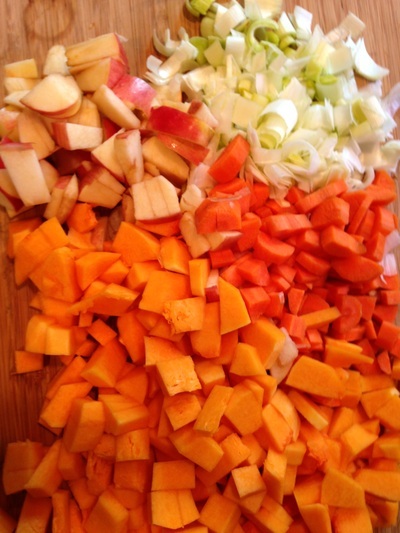 Just imagine the aroma from my kitchen the day I was making this soup. 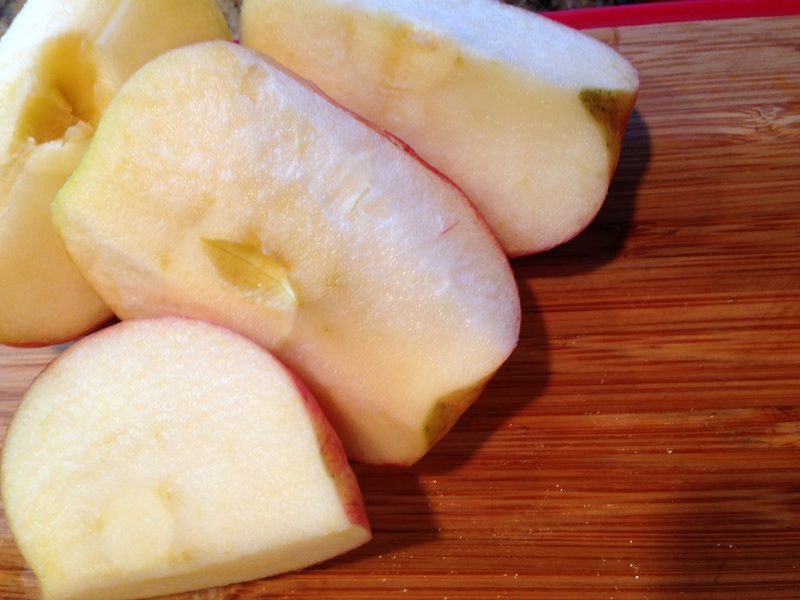 Peel and chop all ingredients. 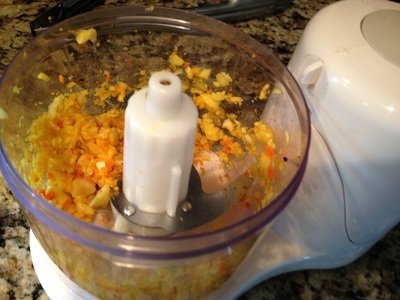 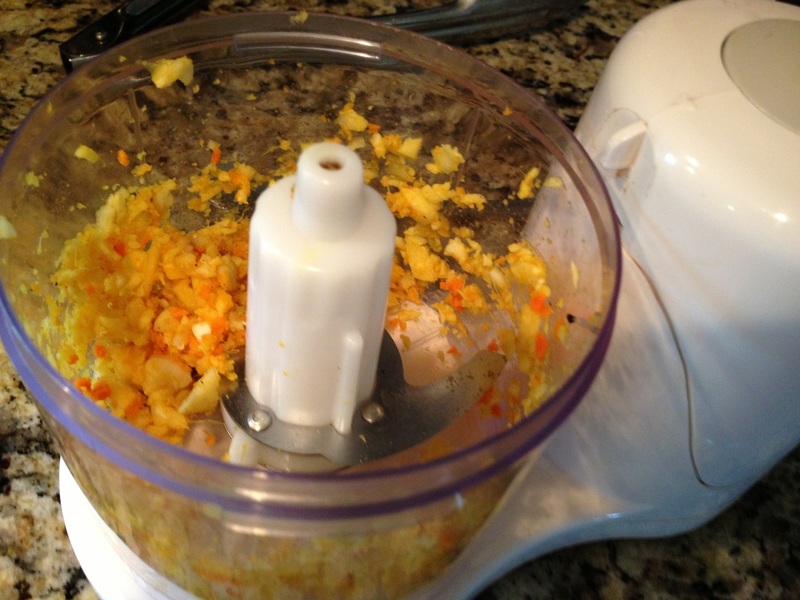 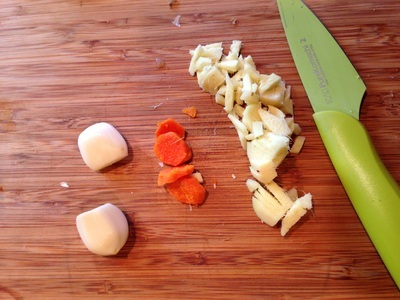 Using a food processor chop garlic, turmeric and ginger, pulse a few times until a fine chop. 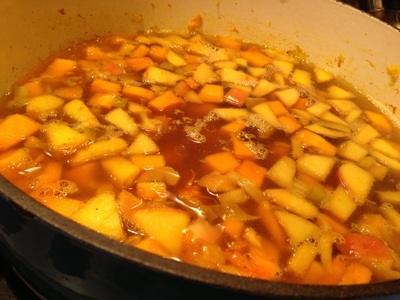 In large soup pot drizzle about 1/2 teaspoon olive oil. 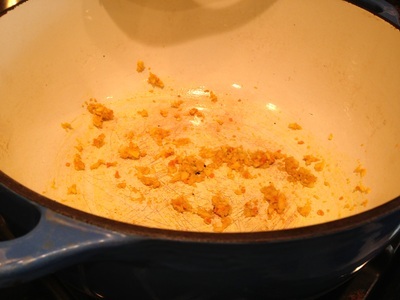 Sauté the Ginger, Garlic, Turmeric turning a few times. 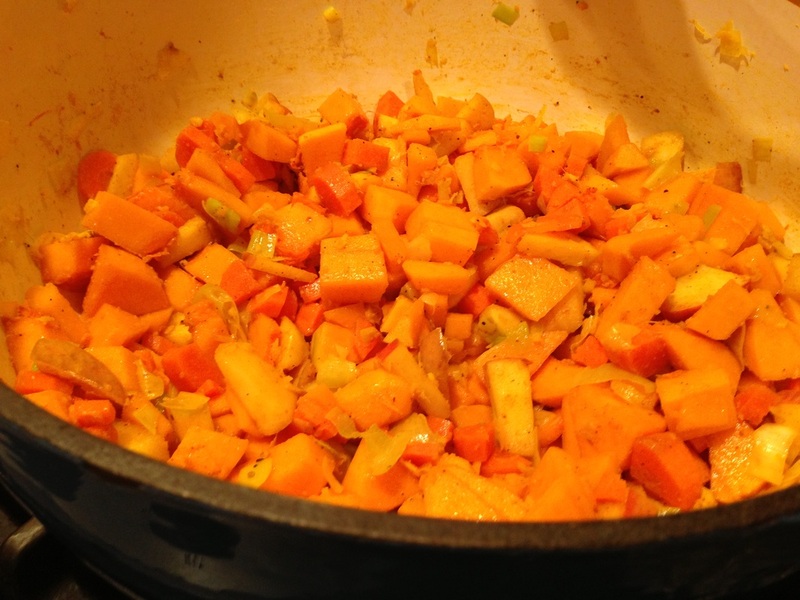 Add leek and allow to cook for a few more minutes. Add squash, apples and carrots. dash of salt, red pepper and allspice. Add your broth or water and allow to cook until carrots and squash are fork tender about 20-25 minutes. Enjoy this flavorful fall soup. 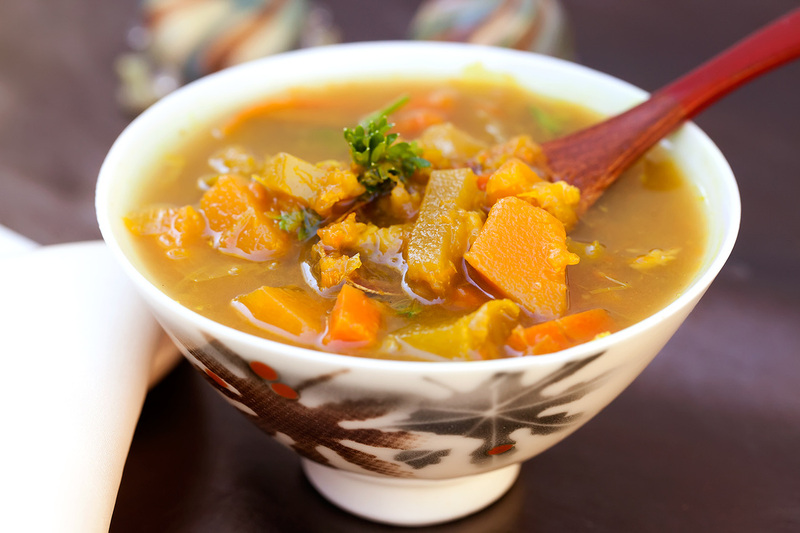 It is hearty filling ,healthy and delicious.